Snap attack – Nutjitsu on Xbox One works like an app. You can actually snap the game, which means you can sneak in matches of, say, Titanfall while playing it. When waiting in the matchmaking lobby it’s possible to switch over to Nutjitsu for a few rounds before heading back to mechanical mayhem. But it’s important to note that you cannot actually play Nutjitsu in the snapped panel. 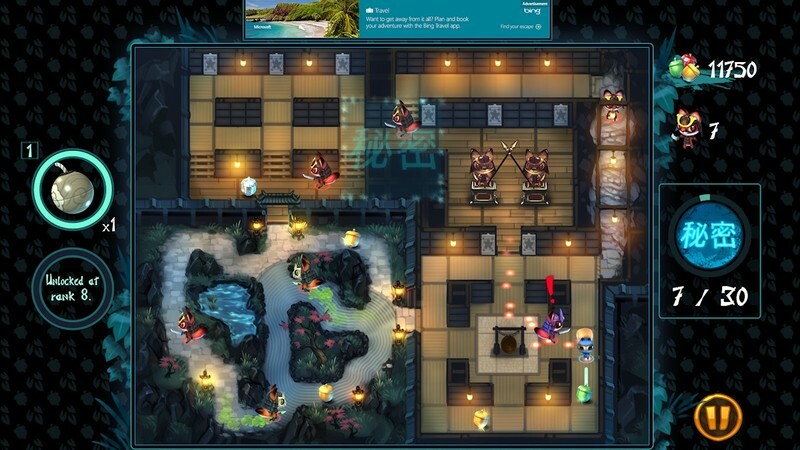 Instead, players must switch the game into full screen to play with no visual queues from the other game being played. This is a missed opportunity, and you have to question if such a design choice negates the greatness of snapping the game in the first place. The snap feature is a welcome addition that XBLA Fans would love to see more of in the future — as long as it’s executed more effectively. Achievement unlocked – Easy achievements abound in Nutjitsu. There are only 10 achievements for a whopping total of 1000 Gamerscore points. 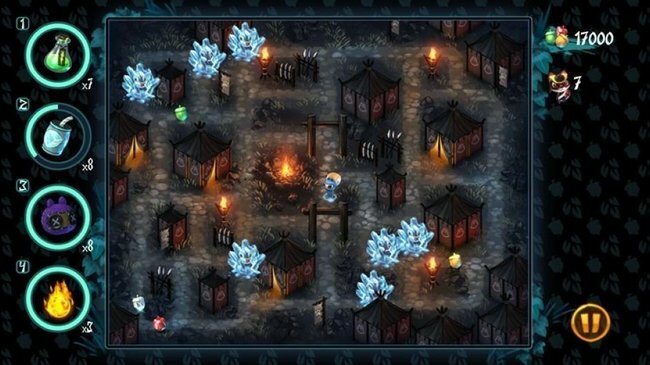 A player can easily unlock most of them within an hour, then must grind out the remaining achievements, such as reaching the max rank of 25, across another hour or two of gameplay. Sure, there’s a lot of grinding, but 1000 points in three hours is excellent for those achievement hunters who fancy a quick and mostly effortless boost. Do this, do that, rinse and repeat – The aforementioned mission mode tasks the player with a randomly selected mission on a randomly selected map. It starts out fun but quickly turns into a repetitive bore. There are about five missions and about a dozen maps that are cycled through over and over and over again. There’s no real direction in the game, simply a cyclical roulette that makes enjoying gameplay for any more than 10 minutes at a time impossible. There’s a survival mode that adds a little more replay value and leaderboards, but you and your friends will hardly care about bragging over your high scores for Nutjitsu. It’s a mobile game – At $6.49, Nutjitsu is actually on the cheaper end of the spectrum of the Xbox Live Game Store these days, but even at that “bargain” price, it’s still extremely hard to justify this game as worth anything more than $2. 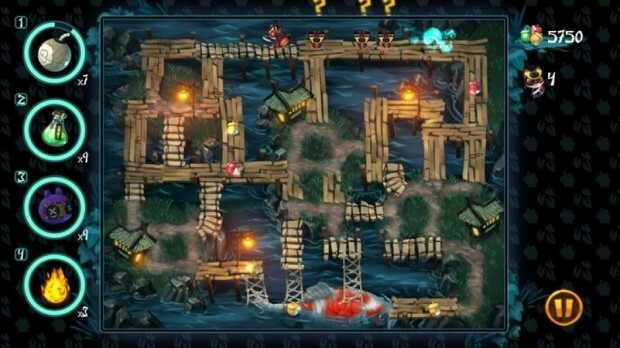 The graphics are mobile, the annoying sound effects are mobile, even the music, in which only one stereotypical track plays throughout the game, is mobile. When you pay $500 for the glorious next generation of video games, there’s hardly any excitement in playing an overpriced app with everything else out there. Is this ID@Xbox? – Here at XBLA Fans, we love the ID@Xbox program. We love seeing independent developers given the opportunity to bring their beloved children to our Xbox One consoles. These smaller, downloadable titles are our favorites, and that’s why we choose to cover them, but a game like Nutjitsu brings to light the dark side of the ID@Xbox program. 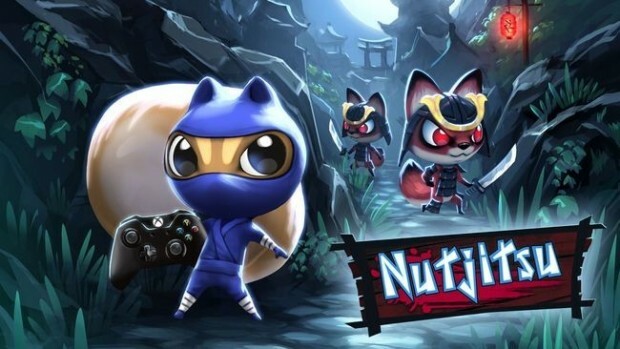 Nutjitsu is effectively a mobile app ported to Xbox One simply because Microsoft’s indie development program allowed NinjaBee to do so. The game is on the lower side of the indie spectrum and brings no glory to the ID@Xbox initiative. We’d like to say this is the least imaginative use of ID@Xbox we’ll get. It isn’t. We’ll see worse, no doubt. But ignore this boring mobile port and spend your money elsewhere. Make no mistake, Nutjitsu is a mobile game. It’s out for Windows 8 compatible smartphones for free, grab it there. It’s fun and cute for extremely short bursts of time. But on next-gen hardware, there’s not a whole lot of incentive to pick up this lackluster title. The snap feature is a step in the right direction, but still not executed to its best capacity. If you have cash to burn and want a quick 1000 achievement points, by all means, help yourself to the easy Nutjitsu, but otherwise, speak with your wallet and support the more deserving side of ID@Xbox.